The ESA App Camp is inviting developers to Barcelona from 25 Feb – 3 Mar 2015 for an event set to culminate in an awards ceremony at the Mobile World Congress. The participants will be selected at six simultaneous Appathons across Europe on 24-25 Jan. The ESA App Camp challenges developers to create innovative applications that will make Earth observation data accessible to a broad audience and create value in the process. Participants in Barcelona will have access to the SAP HANA Cloud Platform that enables developers to build, extend, and run applications on SAP HANA in the cloud. Participants will meet like-minded people and tackle some of the world’s greatest challenges! For full information and how to participate, please visit www.app-camp.eu. Innovation Birmingham has hosted the UK heat of the European-wide CleanLaunchpad competition, where the eventual winners and two runners up will collectively receive €17,500 to develop their clean-tech products/services. 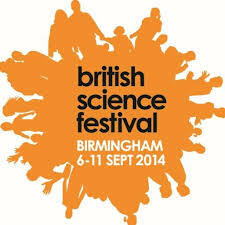 The competition is one of the initiatives being run by Innovation Birmingham’s Climate-KIC team. The competition entrants for the UK heat were located across the country. Cambridge-based bio-glue manufacturer Cambond has come out as the overall winner of CleanLaunchpad UK. The company, which makes adhesives from biomass feedstocks (including algae), using a low-carbon, cost effective process will now progress to the European-wide final in Valencia at the end of October. Cambond will be joined by the UK joint runners-up; Derby-headquartered Adaptavate and London-headquartered Desolenator. Adaptavate has developed a natural compostable plasterboard, suitable for use on heritage buildings and traditional homes, while Desolenator has produced a solar-powered means of desalinating water. CleanLaunchpad is Europe’s largest clean-tech business idea competition. The UK is one of 10 countries taking part, along with The Netherlands, Hungary, Germany, Spain, Italy, Poland, Cyprus, Greece and Denmark. As well as the cash prize, the winner of the European final, which is held annually, will also receive a place on Climate-KIC’s Accelerator programme. CleanLaunchPad is a Climate Knowledge Innovation Community (Climate KIC) project, which Innovation Birmingham is a delivery partner for. Climate KIC is the EU’s main climate innovation initiative, and was one of the first Knowledge and Innovation Communities (KICs) created by the European Institute of Innovation and Technology (EIT) in 2010. The EIT is the European Union body tasked with creating sustainable European growth and jobs while dealing with the global challenges of our time. SMARTSPACES has been named a “Project to Watch” as an innovative energy reduction project by the United Nations’ Big Data Climate Challenge. The Big Data Climate Challenge, hosted by UN Global Pulse and the Secretary-General’s Climate Change Support Team, aims to unearth data-driven climate solutions and evidence of the economic dimensions of climate change. It is aligned with the UN Climate Summit which was held in New York on 23 September 2014, where the Secretary-General convened world leaders from government, finance, business and civil society to catalyse climate action. The SMARTSPACES pan-European consortium of Bristol, Birmingham and another 9 pilot sites in 8 countries investigates ways to reduce energy in public buildings using ICT. The project is part-funded by the European Commission’s ICT Policy Support Programme at DG Connect and coordinated by Empirica. £100,000 of initial investment cash is being shared across nine start-ups on Innovation Birmingham’s Low Carbon Accelerator programme, which is part of the European-fundedClimate-KIC initiative. A total of 16 low carbon start-ups pitched for the investment funding, in front of a panel of three industry judges. 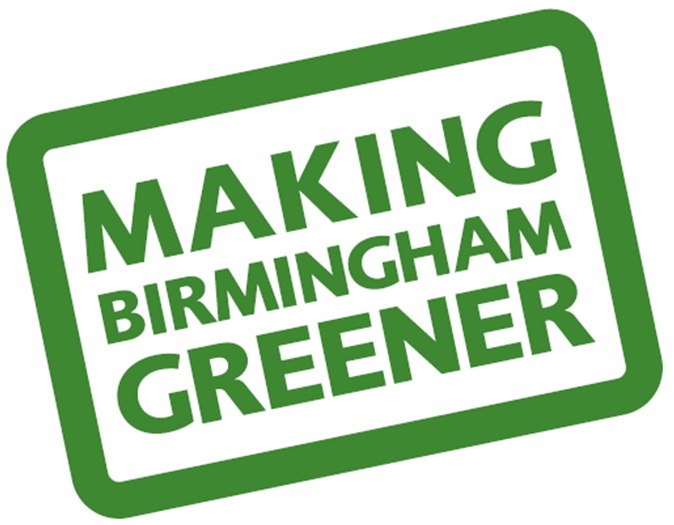 The process was facilitated by Innovation Birmingham’s Climate-KIC team and two of the Entrepreneurs in Residence. The grant funding – circa £11,000 for each of the nine start-ups – will be used to pay for research and development, and other activity to enable the low carbon products and services to be launched to market in an accelerated timescale. Katharine Fuller, Innovation Birmingham’s Senior Project Manager for EU Projects said: “Early stage grant funding makes such a difference to start-up businesses. The timetable required for an entrepreneur to launch their product or service to market is critical, and the funding available through the European Climate-KIC initiative enables the best businesses starting up in the low carbon sector to receive a helpful grant. The nine low carbon start-ups being awarded grant funding are: Full Grown, which is working to change wasteful mass production processes; 5L, a water and energy efficiency business; Unicorn Power Ltd, specialising in clean energy and environmental mitigation; Libralato, a hybrid powertrain specialist; Alkali Solutions, which specialises in industrial symbiosis; WRK Design & Services Ltd, an alternative energy provider; Petalite Battery, which reduces carbon in manufacturing and the product lifecycle; Greengineering Ltd, which specialises in resource and built environment efficiency; and Civico Online Exchange Tracker, a waste prevention solution. Innovation Birmingham Campus-based WAMBIZ, a start-up tackling the issue of student retention in further education, has secured over £600,000 of angel investment following its latest round of funding. The business creates VENs (virtual engagement networks), which connect students with educators to deliver crucial course and student information via a channel they will regularly use. Co-founded by Harry Jawanda and Andrew West – who met when playing hockey for England, the private social networks created by WAMBiz provide a safe means for students to connect, communicate and collaborate with peers, teachers and institutions in an engaging, yet controlled way. The investment was made by Allan Murdoch, the former Executive Chairman of HIPCOM, a leading telecoms provider, who has created a consortium of investors to back new tech start-ups. The group has already invested in such companies as Forge Special Projects which delivers technology to festivals and events, Stylect a shoe app and Shareight which creates a virtual high street on your mobile. In November/December 2013 the Dept for Work and Pensions invited bids for European Social Fund (ESF) funded projects to support proposed Local Support Services (LSS) activity. The closing date for this exercise was 31 December 2013. The pilot projects will provide learning that will contribute to the development of the LSS and act as exemplars for other Local Authorities (LAs) wishing to access ESF to expand their LSS support in the future. Birmingham City Council in conjunction with Gateway to Birmingham Advice Services (GBAS), West Midlands Fire Service, Citysave and DWP Employment Outreach are to create a Service Directory and Referral System (SDRS) that can be used as an accessible reference source for residents and agencies offering support to unemployed people in Birmingham. As the 95th tech start-up enrols at Innovation Birmingham’s Entrepreneurs for the Future centre, a new post has been created to assist with the increased number of young companies going through the incubation process. Now into its fifth year of operation, Entrepreneurs for the Future’s start-ups have secured over £3.5 million of investment during initial funding rounds. The latest four new tech ventures to be accepted onto the European Regional Development Fund (ERDF) supported programme are: AsDesigned Games, Incus Games, Trebuchet Games, and Roomie. The latter of these is an app to enable spare room hunters to assess potential housemates, described as a cross between well-known online portals AirBNB, GumTree and Tinder. The new recruit is Naomi Watts, who has joined the Entrepreneurs for the Future team as a Programme Assistant. Innovation Birmingham Campus hosted the ‘Invitation to Partner with the TSB’s Transport Systems Catapult’ event on 26th March. The event was open to all those interested in delivering innovative solutions to transport challenges. Over 70 people were in attendance to listen to the presentations from the Catapult team, in the state-of-the-art conference facilities. The Transport Systems Catapult forms one part of an elite network of seven technology and innovation Catapult Centres. The Transport Systems Catapult is established and overseen by the Technology Strategy Board. Together, the Catapults represent a £1bn public and private sector investment over the next five years.